I was invited to a forum at the Asia Pacific University of Technology and Innovation in Bukit Jalil last week. The forum was held in conjunction with their Open Day where prospective students and their parents were invited to participate in the discussion. 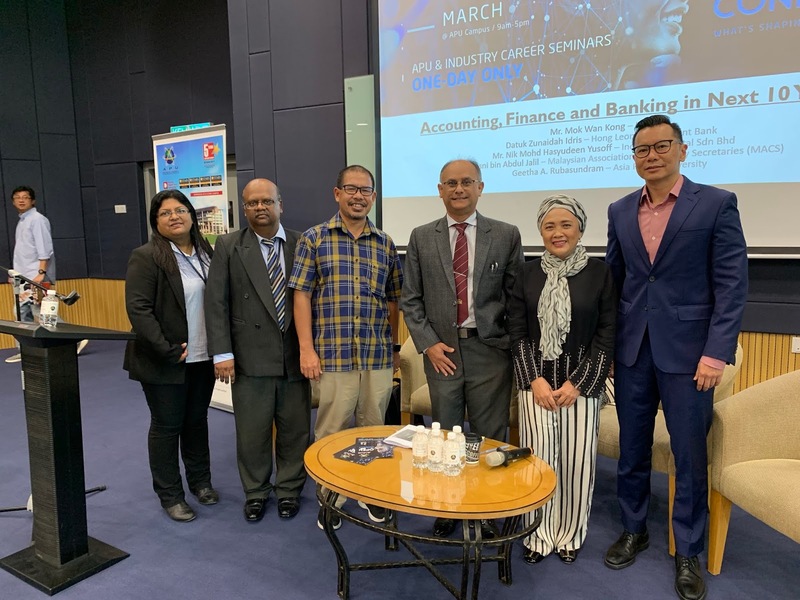 The topic was about Disruption in Banking, Finance and Accounting and apart from myself, other panellists were banker, auditor and company secretary. I was supposed to share my experience as an accountant who are now involved in the financial services industry. I started by sharing where things were when I was studying as an accounting student in Perth, Australia. I was using Multiplan for worksheet and Words for word processing when the present popular solutions were not there yet. When I worked in a Charted Accountants firm in Perth, I was asked to work out a cash flow projection for a client for the purpose of a loan application. We used broad paper sheets for that work. I asked by boss why don't we use electronic spread sheet? He agreed and I used the knowledge from university to complete the work. After that, all similar work ended up on my desk! That was a small innovation, so to speak. Fast forward, I am now the Chairman of BIMB Investment Berhad where one of our funds uses artificial intelligence and Big-data to make investment decisions. The assets of the fund are re-balanced on a daily basis, without any human intervention. It reads 50,000 news sites in 15 languages to find news on the counters we track and would decide to buy or sell based on their Environmental, Social and Governance practices. BIMB Investment had just collaborated with CIMB to promote further the fund which is one of the largest Shariah-compliant ESG fund in the world. I also shared my observation as a director of Bank Islam where we are preparing ourselves to compete with various fund-raising platforms enabled via technology and liberalisation of rules. 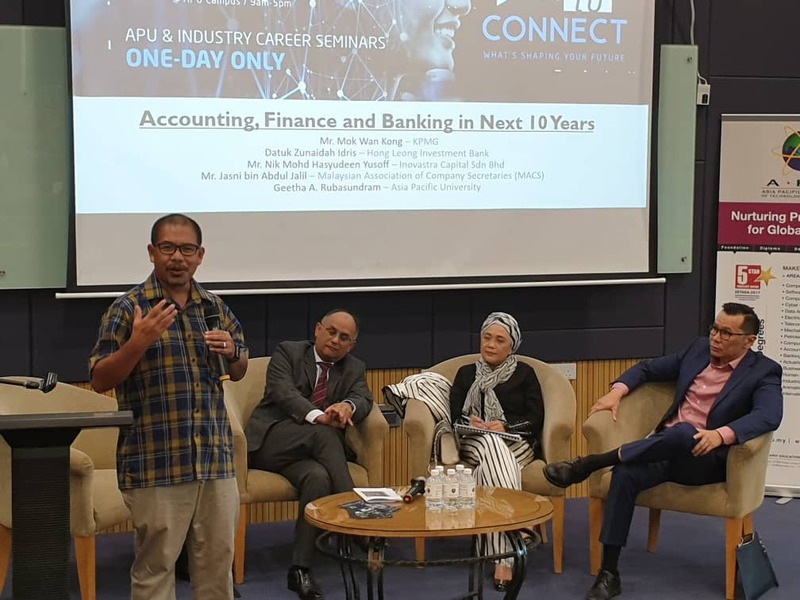 While financial services companies are using technology to make their businesses more effective, technology companies are also coming into the industry and offer financial services. Which one would survive? My advice to the audience was to continuously upscale ourselves with knowledge and skills which are required and relevant to the disruptive environment. No two-way about it. Otherwise, we would be irrelevant to the fast moving financial industry. 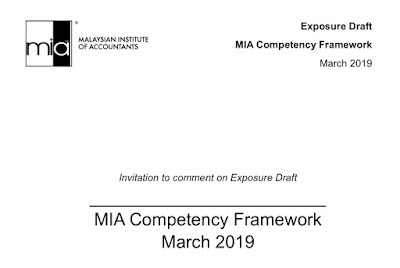 I shared the recent request for proposal exercise by one of the companies which I am on the board. All audit firms which participated proposed auditing approaches which leverage on data analytics. Even a slow moving profession in terms of innovation is forced to innovate. On the other hand, integrity and professional values would remain core to the accounting profession. One must be willing to do the right thing at the expense of losing a good position. That is what professionalism is all about. We mus walk the talk.